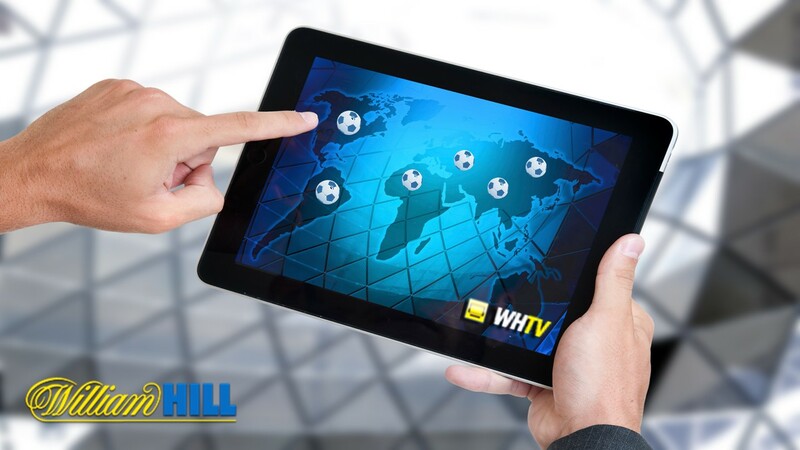 The William Hill app offers great sports betting experiences at your fingertips. Available for both iOS and Android, the app is easy to use and offers a great deal of different markets, as well as games if you want to take a break from betting on football. To download the app, simply click the button above. Next use your account sign-in information to access the app’s features and games. If you’re a new customer you might want to check out William Hill’s bonuses. See below for more information. Make your first deposit and you’re ready to bet. Android users can experience the app by downloading it instantly on to most Android operating system devices such as tablets, smart watches and smart phones. There are two versions available for Android: sports & bingo. This app requires an Android version of 4.1.2 (Jellybean) or higher. The iOS devices available for the William Hill app are iPhone, tablet, or Apple Watch. You can enjoy 5 types of markets on individual apps: sports, casino, bingo, games & vegas. The app requires an iOS 8.0 system. To open an account you must be over the age of 18. Betting must be legal in your territory. Your name and address must be accurate. Your transaction history can be accessed by going to My Account on the website. Once a transaction has been accepted, you cannot cancel it unless William Hill agrees otherwise. You are entitled to close the account given that a balance isn’t due to the operator. Download the app and register your details. Enter the William Hill bonus code when prompted. Make a first deposit of at least the minimum amount. Place a qualifying bet meeting the required conditions. Receive a reward to use on your preferred sporting event. 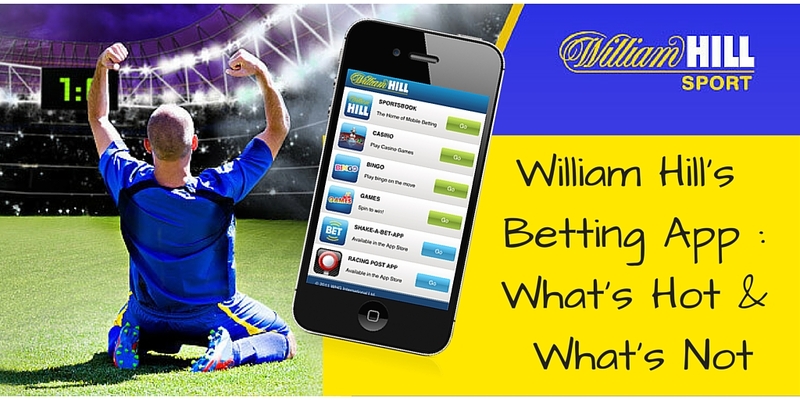 First and foremost, the William Hill app is easy to use. In order to set up your account, you have to sign up with the operator by filling in a form including a promo code and personal details. After this it’s easy to start betting. You can sign up from your mobile device or from your computer. The app is similar to the browser version, whereby the user experience is as seamless as can be. You can bet on football and horse racing, as well as Top Bets and Tennis. Wimbledon-type scoreboards are available starting at the Challenger Tour and all the way through tennis Grand Slams. The app offers you the same benefits and features as the website. You can for instance, make deposits and withdrawals from inside the app, or bet on any market available in the Sportsbook. In the casino, there are several player modes, including single, multi player and private group. The default is single player, while multiplayer can be used for Blackjack, Baccarat, and Roulette games. In multiplayer you are placed with other online players at a table, much the same way you might play the game live in person at a casino. Private group tables are similar to multiplayer. In addition to this you can set them up to invite your friends, it’s like having your own private casino. The only thing you will need to is choose the option, group name, and table limits. These two types of play are valid to players with a real money account and funds available to play. The Casino section moreover has an auto play option just like the slots in the browser version, where you can press the button which says Bet Again, holds the last bet you made and repeats it. With the William Hill app you simply set the number of games you wish to play at one time. Auto-spin will keep spinning for the win even if you have to leave your computer. This option is valid and will continue in play for as long as you have the funds in your account. Likewise, your poker options are designed with the player in mind and your comfort and enjoyment of the game. There is no instant play version of William Hill poker, but William Hill’s poker is part of the largest poker network around the world. There are a large number of cash games and daily tournaments. The Exclusive Players Club gives rewards for play in the form of Club Points, which can be exchanged for cash, tokens, or bonuses. In poker, you can play up to 16 tables at once. Once you’ve downloaded your William Hill app, you’re also set to place some bets. Check out our article on William Hill football coupons to learn more. The app allows you to bet and browse markets with ease. Choose your preferred market or check out the In Play tab for current matches to bet on. To the right at the side of the app you will find the Betslip section, with any ongoing bets you’ve made. Deposits are made in the same way as the desktop site. The Deposit tab on the righthand side, next to your Account balance gives you direct access to your payment methods. You can add and remove credit/debit cards just as you can online. Once you’ve built up your winnings you can transfer them out of your app into your chosen bank account. Any pre-saved payment methods are accessible within the app, and you can also add them directly. The customer service methods for the William Hill app is the same as for the browser version on your desktop. If you run into a problem with the William Hill app you can fill in their online form and ask your question online. You can also call them on 00 800 3551 3551 if you’re more of a verbal inquirer or on +44 (0) 870 600 0479 if you happen to be abroad. You can also send them an email to customerservices@williamhill.co.uk if you’re a fan of the written word. You can also use the live chat, the response time is reliable and quick. It’s definitely a tool you should check out if you need urgent help. Our overall thoughts on this sports betting app is that it is easy to manage, particularly for existing customers as the user interface is similar to the browser version. The FAQ section is complete and easy to navigate if you run into a problem. 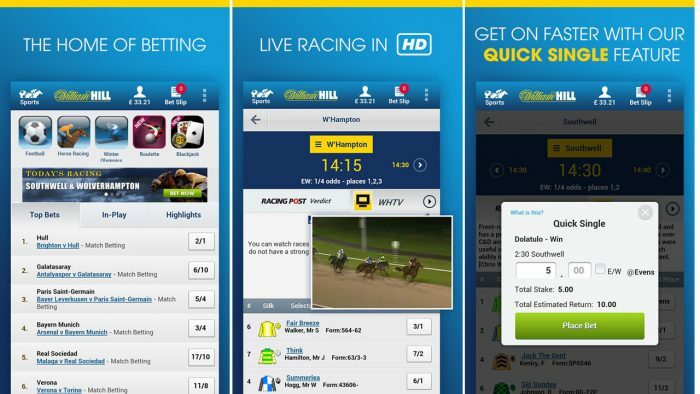 They have pretty much every betting mode available for the William Hill app, and the welcome bonus can be applied when you sign up and download. All in all, we would recommend this app for the bettor who loves betting on sports, casino and poker everywhere you go; from a waiting room, to when you’re on the bus.